This was my first year attending the Board Game Geek Convention, and holy crap did I have a great time! I played a plethora of games, most of which I very much enjoyed. Since I played more than 30 games, I can’t, in a timely manner, write in-depth reviews for all of them. So what I’m going to do with this article is give a quick review of the games that stood out to me, and save my in-depth reviews for the games that I fell totally in love with. Now onto the deluge of games!!! Blue Orange Games‘s Queendomino is a quick, fun tile laying game. What I liked about the game is that the rules are very easy to pick up. Your goal is to grab tiles to match the tiles you have on your board, and thereby build groupings of the different territories. The only way the groupings of territories score is if crowns are present in at least one of the tiles in that group. There are some other ways to score points via buildings which make this a bit more of a strategic game, which I enjoy. The game is just the right amount of light, quick, puzzly fun. In a two player game, the options are much more open to you. In a four-player game, I imagine that people will start to pick tiles specifically to deny another player a particularly great tile for them. If you’ve got a friend who loves Carcassone, they will probably enjoy Queendomino. 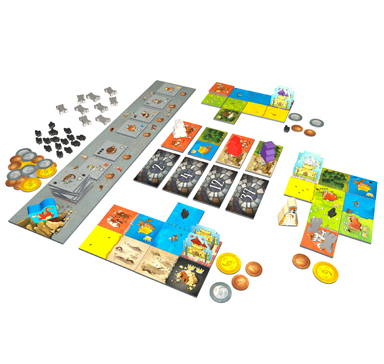 Queendomino, designed by Bruno Cathala, is both an expansion to Kingdomino and it’s own standalone game. It’s for 2-4 players, takes about 30 minutes to play and costs $29.99. 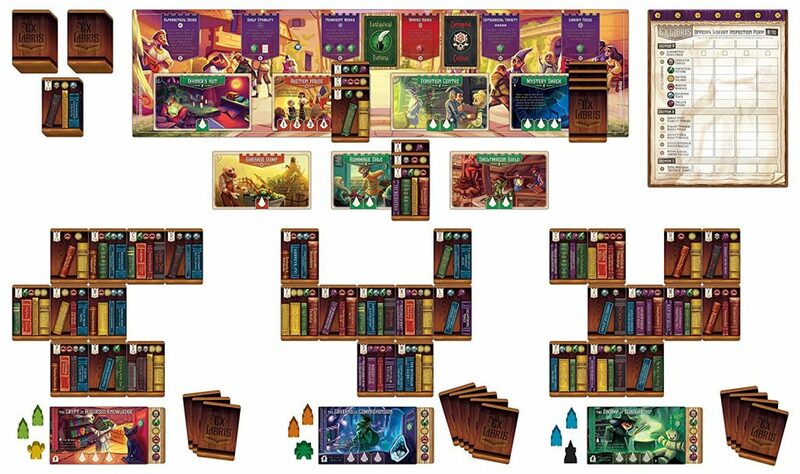 In Ex Libris, by Renegade Games Studio, you are a book collector that is vying for the position of Grand Librarian. You have to fix up your collection in order to outshine your rivals who are also competing for that primo position. Throughout the game you’ll be sending out your assistants to collect book cards. When you “shelve” your books, you will have to place your card out onto the table touching another card. But be careful when you place your cards, because you’ll want to make sure that your shelves are in alphabetical order! The council is looking for you to have books of a certain type, and will deduct points from your score if you have banned books on the shelf. You also have your own unique scoring goal for a different type of book as well. Ex Libris, by Adam P. McIver, is an enjoyable game of collecting books and putting them into your tableau. Every single card has multiple books with unique, hilarious titles, all in perfect alphabetical order. I honestly just want to sit down and read through every single book title on every card. The game is fun, beautifully designed, is for 2-4 players, takes about 45 minutes to play, and costs $60. It’s definitely something to consider shelving in your personal collection. Meeple Circus, published by Matagot, is an adorable dexterity game, where you compete against rival circus acts to wow the crowd. There are all different kinds of meeples like horses, elephants, balls and acrobats, that you’ll need to stack on top of each other to earn the most points. The whole game is played over three quick rounds, with new challenges added each round. The game, designed by Cedric Millet, plays in 45 minutes or less, depending on how quickly you can stack your acts! Meeple Circus is a very light, fun game that is accessible to pretty much anyone. I think it would be a particular hit with children, because the rules are extremely easy to explain, and the stacking is super duper fun. It’s an extremely light game, so if you’re looking for something more in-depth, this is not the game for you. 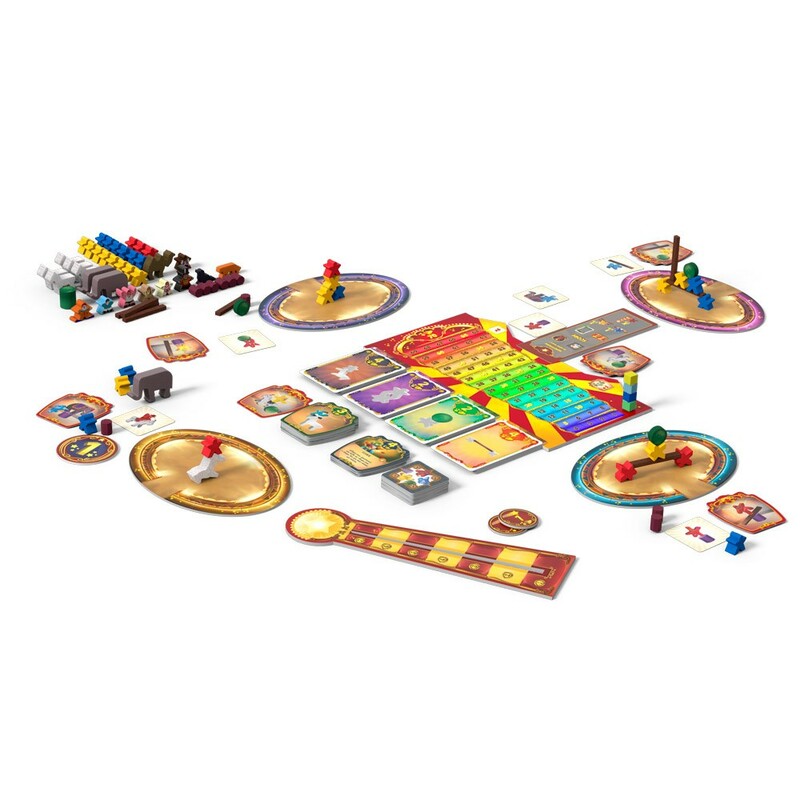 Meeple Circus is for 2-5 players, takes about 30-45 minutes to play and costs $35.99. 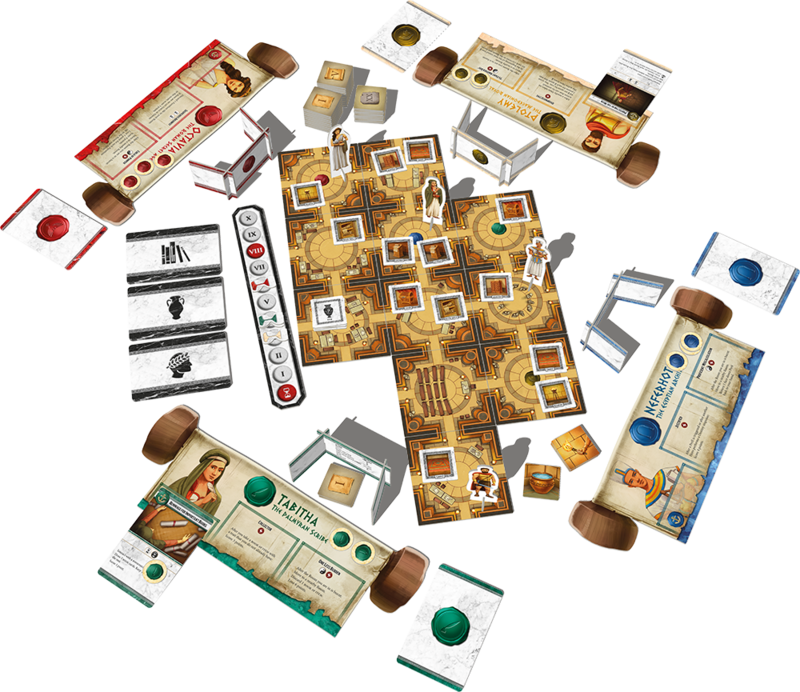 This tile-laying board game for 1-2 players published by Osprey Publishing, is a really great game that forces you to really think ahead and work together. The game is made up of colored tiles numbering 0-21, and you’re trying to lay them out in a tableau so that the tiles on the left of the board are lower than the tiles touching them to the right. Besides considering the tile’s number, you’ll also want to look at the color of the tiles. If possible, you’re trying to having the same colors touch each other, which is how you score points. When you place a tile, it must touch another tile. The difficultly of the game is centered around the fact that you cannot talk to your partner about what tiles you have in your hand. Once you select your tile, you can discuss where best to place it, but not about what’s in your hand. 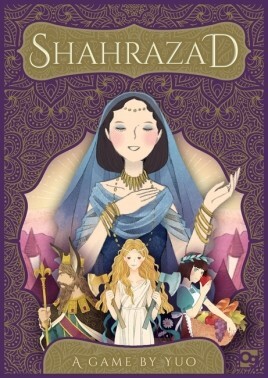 Shahrazad is really enjoyable, and it’s super quick and easy to teach, thanks to their well-written rule book. It takes 30 minutes or less to play and it was designed by Yu Ogasawara. It sells for $20. 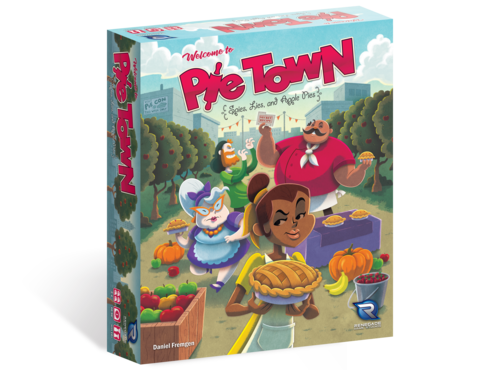 As you may have guessed, Pie Town, published by Renegade Game Studio, is a game that’s all about baking pies. You’re using your dice to do things like gather ingredients and bake pies. What makes Pie Town really great is that everyone has their own secret recipe. When you bake pies, you have to show all the other players what ingredients you used. And then everyone else, through deduction, is attempting to pinpoint what your secret recipe is. There’s even a way to spy on the other players’ ingredients for their super secret recipe. So besides managing your own bakery to maximize the number of points you’re getting by baking all sorts of different pies, you’re also trying to deduce what the other players’ recipes are. The more ingredients you figure out, the more points you get at the end of the game. Pie Town, designed by Daniel Fremgen, is a light, fun game that has a really adorable theme. The hidden information and deduction elements really add a great element to the game. It’s super fun for 2-4 players, takes about 60-90 minutes to play, and sells for $45. The game will be released on December 13, 2017. When I first heard about Alexandria, published by LudiCreations, I was really excited to play a game about saving books from the burning of the Great Library in Alexandria. Unfortunately, the game isn’t quite about saving books and artifacts. Each character has their own powers and deck of actions that they’re using. And every action requires the player to spend time to do it. Many of the cards let you waste the other players time in order for you to spend less time doing one of your actions. Alexandria felt like it was more about sabotaging the other players than about saving artifacts. Many of the characters actually had actions that let them set even more fires to the building! The asymmetrical characters also didn’t feel balanced. For instance, one of the character’s mechanics revolved around him leaving traps behind for the other players to trigger. Only two out of the five or more he placed got triggered the whole game. Alexandria, designed by Babis Giannios, didn’t quite match up with the theme for me, and the game itself just felt off. I was expecting more of a cooperative game, but this was much more confrontational and take that. It just didn’t quite hit the mark for me. The game is for 2-4 players, takes about 45 minutes to play, and the company says it should be available in December 2017. Princess Jing, published by Matagot Games, is a bluffing game with a unique mechanic that involves mirrors! So the whole idea of the game is that each player has a princess who’s been promised in an arranged marriage. They are trying to get their princess to the other side of the board to meet the soldier who they actually love. In order to get to the other side, they must avoid the other player. The board is covered in these 3D hiding places, which you will be switching around to move your princess. You will not be able to see what your opponent has in their hiding places, nor will they be able to see what you have in your hiding places as you move around. The only way to find the princess, is to get your mirror man to be directly behind the princess. 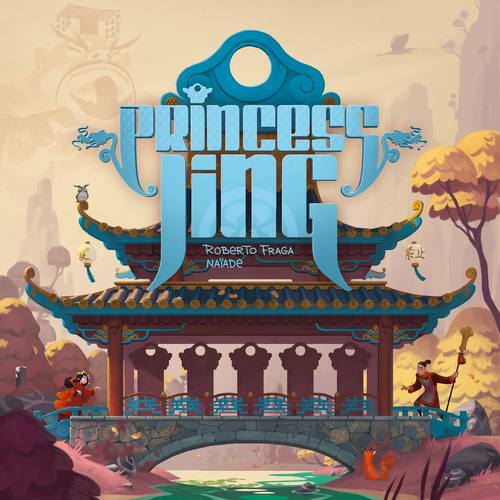 Princess Jing, designed by Roberto Fraga, is a cool game that is certainly enjoyable. You have to choose carefully which pieces you move around the board, because you do not want your opponent to zero in on your princess. It’s a balance of trying to throw them off the scent, while also attempting to find their princess. And the mirror is a really unique and awesome element for the game. It’s a super fun bluffing and deduction game for two people that plays in 15-30 minutes. It should be released in 2018. When I Dream, published by Asmodee, is a party game in which one player is blindfolded while the others try to get them to either correctly or incorrectly guess the words they are describing. The dream spirits can be good, bad or neutral. If you are a good spirit, you want to give your dreamer correct clues to get them to guess the words. If you’re a bad spirit, you want to try to lead your dreamer away from the correct word. And if you’re a neutral spirit, you want the dreamer to get just as many wrong as they get right. Once the time is up and the dreamer is finished, they must then relate the dream they had using all of the words they guessed. And then the mask passes and everyone gets dealt new roles for the round. 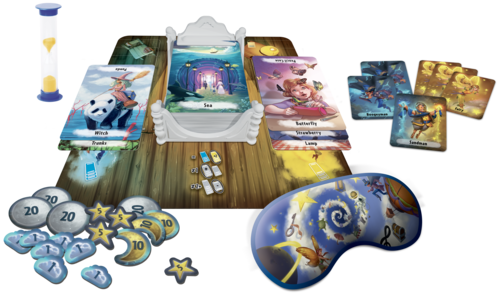 When I Dream, designed by Chris Darsaklis, is super fun, light party game. I think it would be a great game to play with children as well, because the rules are super simple, it’s got a quick play time, and it’s guaranteed to make you laugh at some point. The game is for 4-10 players, takes about 20-40 minutes to play, and costs $39.99. Cat Lady, published by AEG, is all about collecting, feeding and dressing up your cats. On their turn, players will pick up all three cards from an entire row or column and add them to their hand. You’ll be grabbing food cards, catnip, costumes, toys and cats. If they draft a cat, that cat will be placed in front of them, and in order to score points at the end of the game, will need to be fed. Costumes and toys will earn you more points for every time you gather a different unique costume or toy. Catnip will also earn you points, but beware, because if you only manage to get one catnip card, you’ll actually lose points. 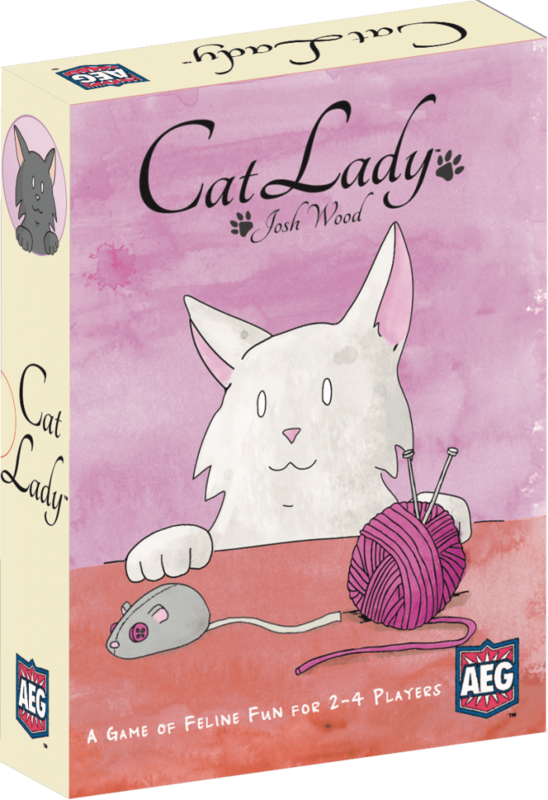 Cat Lady, designed by Josh Wood, is incredibly light. There isn’t too much strategy to the game. You just pick up the cards that you think are the most advantageous to you. I think it is a great gateway game to get your friends into playing games, especially if said friends really love cats. The game is for 2-4 players, takes about 15-30 minutes to play, as costs $24.99. If you’ve got a friend who adores cats, this might be a great gift for the holidays. Stay tuned to the site for more in-depth reviews on games that I loved like Altiplano, Agra and Noria! Caylie is a writer and all around nerd. Board games have slowly become a passion and have taken over most of her shelves at this point. Some of her favorite games are Castles of Mad King Ludwig, Battlestar Galactica, and Mansions of Madness 2nd edition. Asmodee Announces New Bluffing Game Oh Captain! 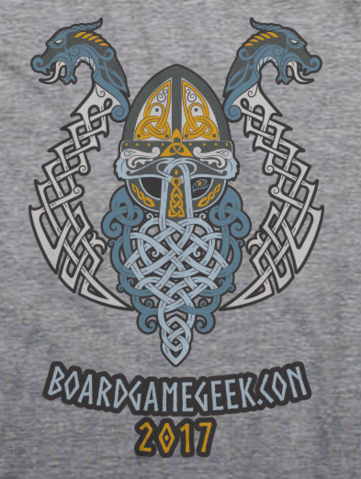 Down to Game is committed to in-depth reviews, rules videos, news, and round up articles. We believe gaming is for everyone, and we want to promote inclusion in this industry.